Just four miles from the coast and approximately thirty minutes from Downtown San Diego, the world-class equestrian community known as Rancho Sante Fe is a must-consider destination for luxury home buyers seeking space, privacy, and abundant natural beauty. Located in northern San Diego, ‘The Ranch’ is an enchanting incorporated community encompassing private family compounds, picturesque equestrian estates, and large wooded lots. Rancho is home to a multitude of eucalyptus trees, scenic horse trails, outstanding upscale shopping, and dining, as well as the San Diego Polo Club and the historic Rancho Santa Fe Country Club. Found in the 92067 zip code, Rancho Sante Fe is arguably one of the most beautiful communities in the United States. Established in 1928, Rancho has a long, rich history as an exclusive residential area. Managed by the Rancho Santa Fe Association, The Ranch emphasizes preserving its gorgeous rural landscapes and agriculture. Among the locals, the community is sometimes referred to as the “Covenant,” the term originating from the agreement among the property owners to maintain, preserve and uphold the character, landscape, and quality of future developments in the community. Today the Covenant of the Village of Rancho Sante Fe has approximately 4,300 residents within its ten square mile area. The community is served by the adjacent Rancho Santa Fe School District which operates the state-of-the-art Roger Rowe School. Roger Rowe serves elementary and middle school students and boasts a performing arts center, classroom labs, and a long list of additional remarkable advantages. There are also several highly-regarded private schools from which residents can choose. Within the heart of this exceptional Village, you will find the historic Rancho Santa Fe Inn, several shops, and restaurants. Also in the center of Rancho is the distinguished Rancho Santa Fe Golf Club. This Max Behr designed par-72 private course boasts 6,700 yards and a rich history dating back to its opening in 1929. In the 1930s the golf club was the site for then- resident, Bing Crosby’s famed annual clambakes. In 1989 the community was recognized as a State Historic Landmark, and today it remains the oldest active planned community in the state. Alongside the golf course is a network of private hiking and equestrian trails. These trails run throughout The Ranch community and are nearly sixty miles in length. 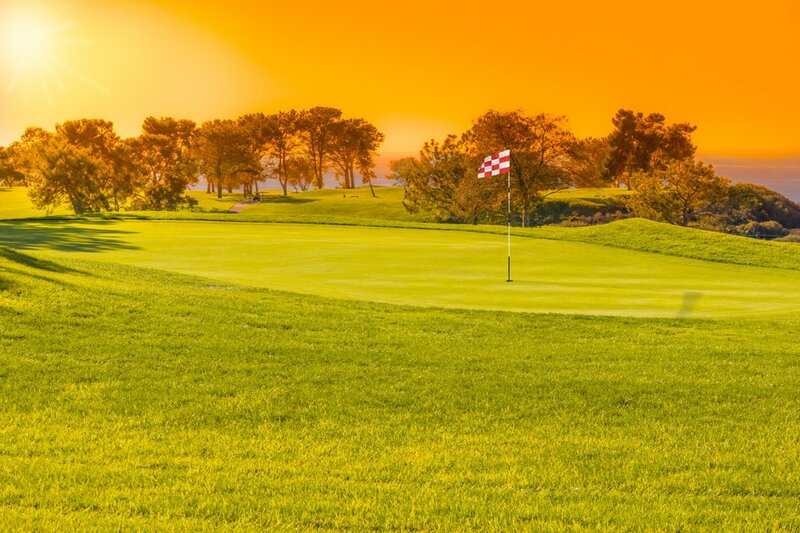 Looping through the various landscapes of Rancho, these scenic trails offer captivating views of local streams, lush tree canopies, the golf course, the ocean and adjacent elegant estates. In addition to the picturesque trails, residents of this pristine community also enjoy access to 68-acres of delightful open space along the San Dieguito River on the southeastern boundary. Known as the Arroyo property, this magnificent area boasts upland areas, non-native grasslands, wetlands and eucalyptus woodlands. Just like the trails that loop through the area, Arroyo is also a great place to horseback ride and hike, as well as camp and fish. Running through Arroyo is another trail, the 70-mile Coast-to-Crest Trail that connects Julian to Del Mar. Additional recreation opportunities can be found at Rancho Sante Fe Field which encompasses a baseball field and soccer field, both regulation size. All in all, Rancho Sante Fe is an expansive low-density development boasting an average lot size of over two acres. This along with its gorgeous rolling topography makes it an ideal destination for luxury home buyers desiring some extra space and privacy. With proximity to the ocean, this exclusive community has one-of-a-kind luxury properties sure to impress distinguished homebuyers. Many luxury homes here were designed by renowned architects and possess a modern sophistication and elegant opulence that is beyond compare. If you would like to learn more about the luxury real estate of Rancho Santa Fe, please allow us the opportunity to serve you and contact us today.